‘Tis the season of everything festive. Decorations, paper, bows, trees… you name it. You know what else it is the season of? Changes in the weather. This time of year, it is really important to take care of yourself. Make sure you get enough moisture inside AND out! Plus, it is also the season of parties. You want to make sure you and your gorgeous red hair look their best. 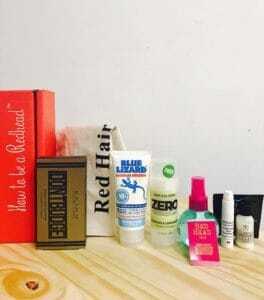 This month’s H2BAR Box has given us so many goodies (14 in total) to treat and pamper us with this month. Just because it is winter doesn’t mean we can’t have mermaid locks. Give yourself a chic, messy, beach look with a few spritzes of this texturizing spray. Use it on dry hair for an unkempt look or spray a little on while it’s wet to give your hair volume and structure. 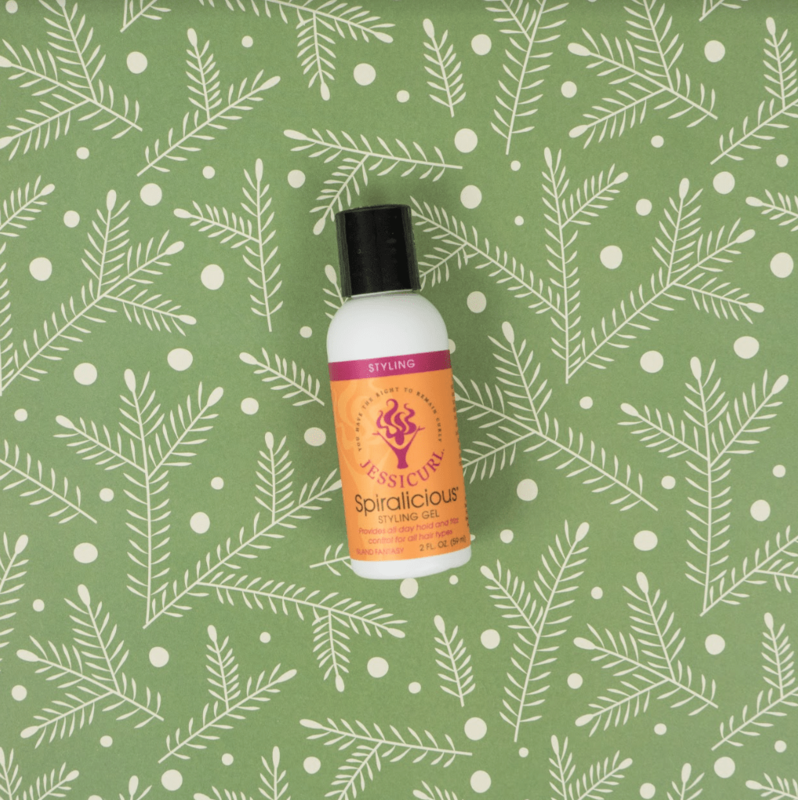 Remember the awesome Freedom Naturals Calming Moisturizer from October’s subscription box? Well, now you have their cleanser to reduce your skin’s redness too. Gently keep your face clean without irritation. Follow with their Calming Moisturizer for a gentle skin routine to help against the days when your skin is the most sensitive. Seriously, this little tube should go everywhere with you! 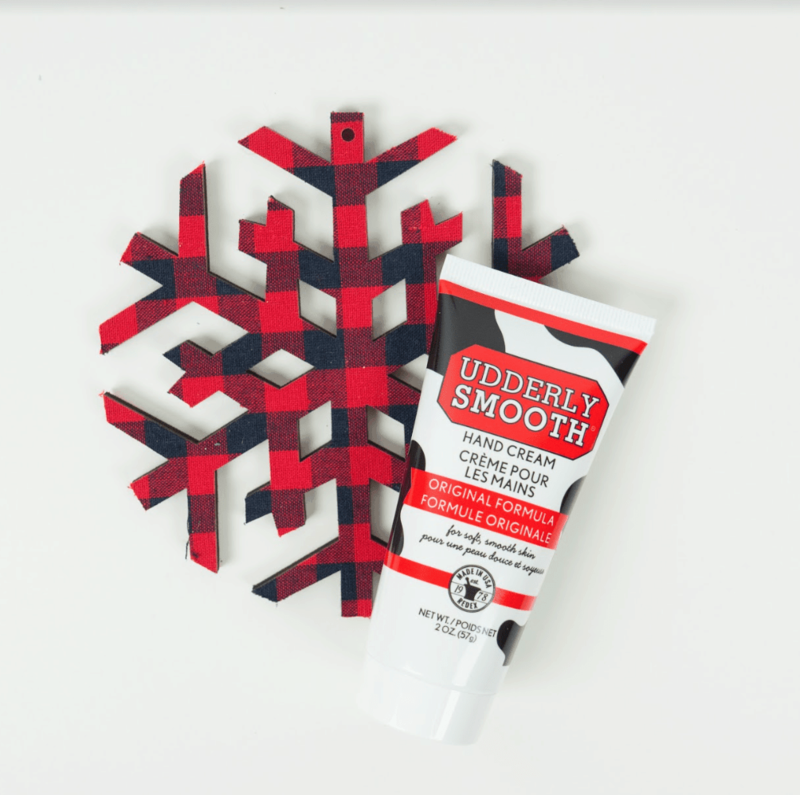 This hand cream is a must-have during the cold, dry months. Just a little drop rubbed in your hands makes them super soft without being greasy. Keep your hands looking and feeling great after your home manicure. It absorbs quickly so you don’t have to worry about your hands slipping off everything. Nothing says festive like bright red nails. This nail polish was introduced to us redheads earlier this year and it was really nice. Two coats will keep your nails strong and healthy while looking fabulous with the colors of the season. If you are looking for an eye pencil without a bunch of unwanted ingredients, this just may be the one for you. Free of petroleum, parabens or gluten, this liner offers a silky smooth, long-lasting color. It goes on easy, stays strong, and doesn’t break the bank either. Available in over 30 fabulous shades, these pencils are fun to style with and give you and your red hair some great options for amazing looks. We’re walking into a winter wonderland with these #redheadfriendly essentials by our side. ⛷🏂🛷 What was your favorite product from the December #H2BARbox?! Share below! If you are looking for a product that gives those red ringlets a slightly firmer hold, this is the product for you. Use a small amount and coat the wet hair strands from top to bottom. You may notice it dries a little “crunchy” but don’t let that scare you. It’s supposed to do that! A gentle brush/comb through will leave your hair soft and keeps your style on point all day. The best part? No frizz! 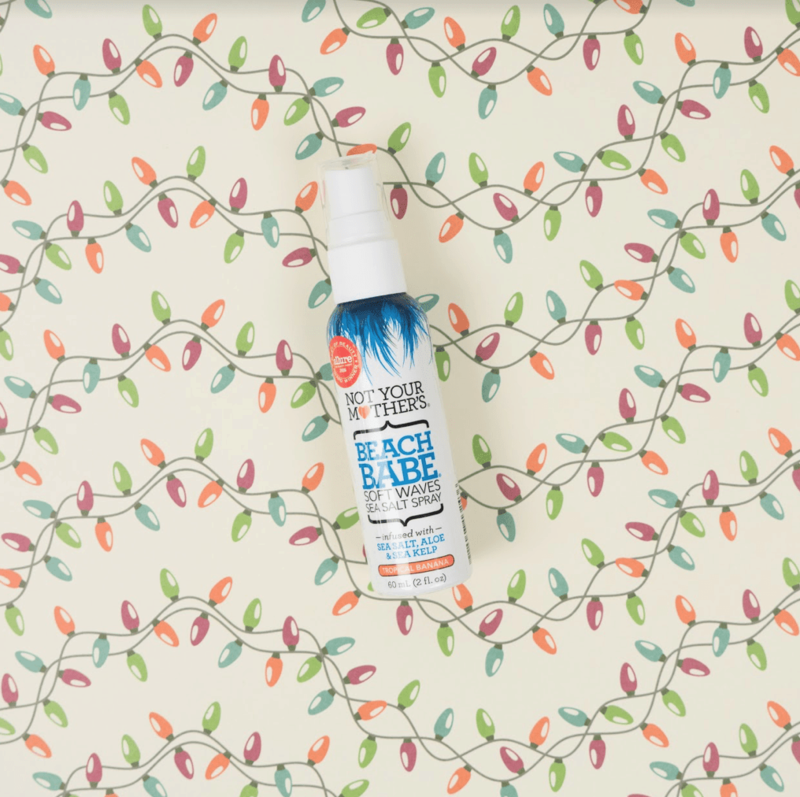 A perfect product for those dry, indoor heat days when your hair doesn’t seem to have any control. Use this first before styling and you will love how soft and flowy your auburn tresses hold a fabulous look! Us redheads love a flashy manicure but there are times when our nails are not in the best condition. Even though we have creams for our hands, our nailbeds and cuticles can get very dry, cracked and even bleed. Did you know this is most common amongst redheads because of our sensitive skin? It is very important we take care of this often overlooked areas on our hands. This 95% certified organic nail treatment is made up of 21 essential oils to help condition the nail area. It absorbs quickly, reduces brittleness and is non-greasy. The scent is nice and subtle, and you can see results almost immediately. There are times when our skin is not our BFF. Being a redhead, it is easy for our face to get red and irritated by the littlest of things: wind, cold, dryness, chemicals, etc. This gem of a cream is the perfect “treatment” for your face before you put your skincare or makeup on. Just apply a small amount and it instantly begins reducing redness and inflammation on contact. After a day in the dry, cold air you will find this is the perfect relief for your skin. I was so excited to see this in the box this month. I actually discovered this cream a few months ago myself. This wonderful body cream is great for areas where the skin needs a little tightening and smoothing. (Hence the name “Bum Bum”). It contains a secret ingredient from an Amazonian plant that actually has the most potent forms of caffeine of any kind. This plus other essential oils, antioxidants, and butter makes this fast-absorbing cream a must-have for anyone who wants to tighten and smooth the skin in our “not-so-young looking” areas on our body. It won’t take long for you to fall in love with this fabulous smelling, skin-softening body cream. Natural deodorants are not easy to find. There tend to be a lot of chemicals in retail deodorants that can leave our sensitive skin red and irritated. This deodorant is really nice because not only is it not tested on animals and contains no baking soda, but it does contain an ingredient that neutralizes the cause of body odor—Dead Sea salts! One swipe of this great product is all you need to help fight odor for the whole day without causing you any discomfort from sensitive skin. Definitely a great change from the sometimes irritating drugstore products. Walk into the beauty section of any store and it won’t be a secret that face masks are where it’s at right now. No matter what problem you have with your skin, there is a mask that can help. 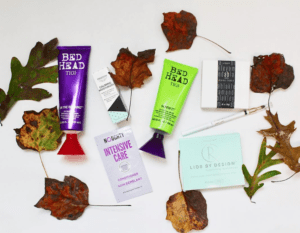 Sometimes us gingers find it hard to locate an exfoliating mask that doesn’t irritate our skin with harsh abrasives, stinging chemicals or harsh fragrances. 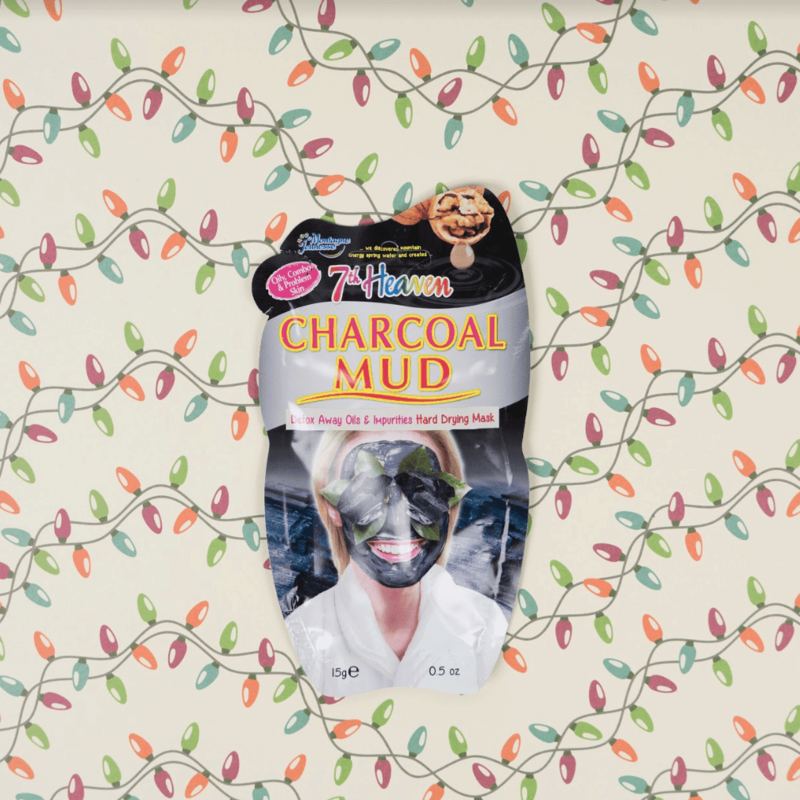 7th Heaven’s Charcoal Masque gently polishes your skin by removing impurities and detoxing your pores leaving your face fresh, smooth and clean! Here is an item that does a lot in one simple product. And during the busy times, who doesn’t like easy? This is a great product for babies because it gently washes away dryness on the skin and scalp, heat rashes, diaper rash and other irritations with this all-in-one wash.
Because this product is 100% vegan – free of fragrances, soy, gluten, honey, peanuts or dairy as well as no titanium dioxide—this is the perfect product for adults as well as babies. And us redheads embrace the aloe and cucumber to calm any irritants as well. Even the bubbles are soothing! Many of us like a nice afternoon tea when life gets a little hectic. You might be surprised to know that tea is rich in polyphenols as well as vitamins C and E which offer large amounts of anti-oxidants and anti-inflammatory properties. Tea also contains properties that have the ability to protect against damaging UV rays from the sun. You often think of protecting your skin against the harmful sun, but have you thought about protecting your hair and scalp? This daily treatment protects against the environmental aggressors that can take its toll on healthy hair. I really liked the lightweight texture of this product which did not weigh my hair down or cause it to become oily. Just a bit in the palms of my hands was enough to coat my hair, helping to detangle it while it was wet. Its color-safe formula enhanced the shine of my hair while keeping it smooth, less frizzy and feeling fabulous. Agadir products are my favorite hair repair products I have ever used. The 450⁰ products provide extra proteins and anti-oxidants to keep your hair hydrated during extreme heat styling, releasing and coating the strands of your hair as the temperature rises. This is not only good for those who style their red hair with dryers and appliances, but it also targets any damage to the hair to repair, protect, hydrate and condition. Perfect for the dry winter air, too! 15. $20 Savvy Sleepers Gift Card! Every subscriber received a $20 gift card from SaavySleepers.com. Red hair has to be pampered, even when you sleep. Their anti-aging silk pillowcases are the secret to perfect hair. With December upon us, we know we will busy for the next several weeks. 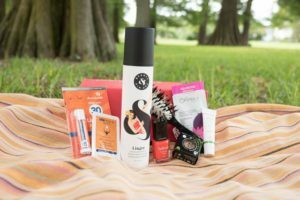 It is nice that this month’s H2BAR subscription box gives us so many goodies to keep us looking and feeling our best during the hectic holiday season. Take some time to pamper yourself so you will be able to Rock it like a Redhead this New Year!